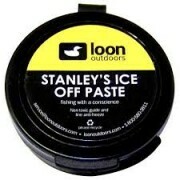 Loon has many environmentally correct Products. This natural agent for the preparation of dry flies, is in gel form. It sticks well to the materials of the fly is made. The secretion from duck´s grease gland is the active agent of CDC GEL. This natural agent makes the fly materials water-repellent and long-time ability of the fly to float. This dry fly floatant is a non-toxic product which can be used for both large and small flies, and coats and floats in both cold and hot weather. It does not mat hackle or separate and is free of oil slicks. Apply to fingertips and then to fly. This floatant is said to work in both cold & hot weather. It’s odorless and free of oil slicks. 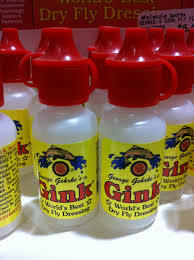 In addition it is environmentally safe and comes in a 1/2 oz. squeeze bottle with snap top and includes a convenient dispenser. Please contact us here for further details and availability. 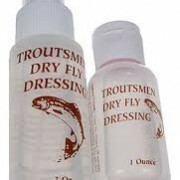 Water Shed Dry Fly Floatant. 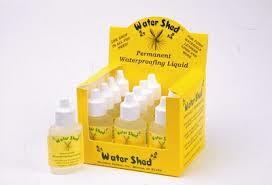 Water Shed is a permanent waterproofing treatment for dry flies. 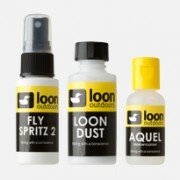 Apply 1 or 2 drops of Water Shed to your dry fly hackle at your tying bench when you have finished your fly. Let it cure for 24 hours and you have a permanently waterproofed dry fly. You can also use Water Shed to treat your materials before tying and it’s a great treatment for furled leaders. 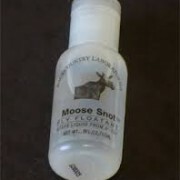 Moose Snot is a silicone based Fly Floatant that will not gel in cold weather or melt due to heat; retains viscosity from 0-130 degrees Fahrenheit with no pesky oil slick.